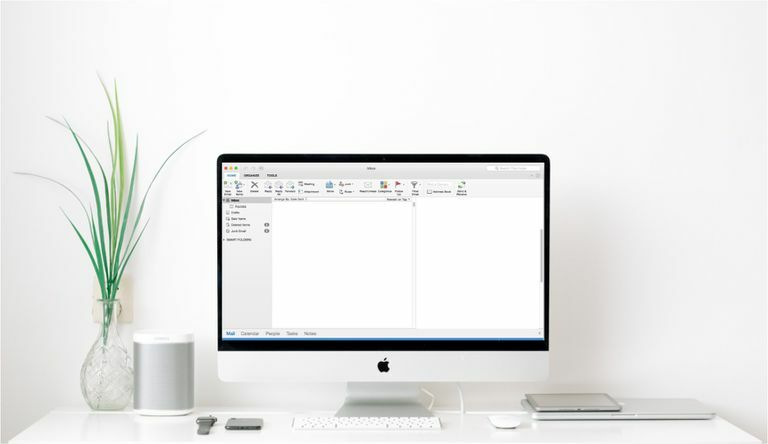 Outlook for Mac lets you create and use multiple email signatures, and you can pick the default email signature that you want to use for each account you set up in Outlook. Instructions in this article apply to Outlook for Mac. Setting up one signature is as easy as setting up many in Outlook for Mac, and you can set special defaults for certain email accounts. Select Outlook > Preferences. The Outlook Preferences window opens. Select Signatures. The Signatures dialog box opens. Select + beneath the list of signatures. A new signature line appears in the signature name list. Enter a name for the new signature and type the desired text of your signature under Signature. Select the options you want to use in the Choose Default Signature section. For example, to use this signature for all new messages you create, select the signature name in the New Messages list. Close the dialog box when you are finished. In the signature list, select the name of the signature you want to change. If the signature name does not turn editable, select it again. Make sure you select the name of the signature, not a space that is next to it. Type a new name for the signature. Select the desired account under Account in the Choose default signature section. Choose the signature you want to insert in new emails under New messages. Pick the signature you want to be used automatically in replies and when you forward under Replies/forwards. Choose None for no default signature, if you don't want a signature on replies. You can still insert one manually when you write a message. Select the new signature under Default signature for all the desired accounts. Select the Message tab in the message title bar. Click Signature and select the signature you want to insert. As an alternative to the message’s toolbar, select Draft > Signatures from the menu and then pick the signature you want.